Lack of woodland management over several decades leads to declining biodiversity, with stands of trees or coppice growing up even aged and in dark, close conditions. Few seedlings grow in such circumstances: they may not even germinate, and the chances are that the woodland is not regenerating properly. As a uniform age structure emerges, woodland flora become stressed, and butterflies and other vulnerable insects lose their habitat. Planned interventions enable light to reach the woodland floor periodically. While operations aim continually to improve the timber stock, a diverse patchwork of habitats is maintained to maximise species diversity. Non woodland habitats need also to be enhanced. Wide rides provide grassland, open space and edge habitat for flora and fauna. These should be maintained on an annual basis. Standing and fallen deadwood is best retained as a habitat for insects. Ancient woodland is rich habitat, including for species that are protected under the European Habitats Directive. It is now assumed that woodland will at the very least contains bats, which are given legal protection under the directive. Good practice outlined by the Forestry Commission and Natural England aims to maintain and enhance populations of these species, and to minimise the risk of harm to individuals. Surveying for potential bat roosts is carried out prior to operations, and trees with characteristics that may provide habitat are protected. It is often the case that woodland contains ponds, and is a great benefit to let in light around ponds which have become overgrown and shaded. Great Crested Newts benefit from such increased light levels. Following good practice, populations of this species are enhanced by sensitive management decisions including protected areas and buffer zones. 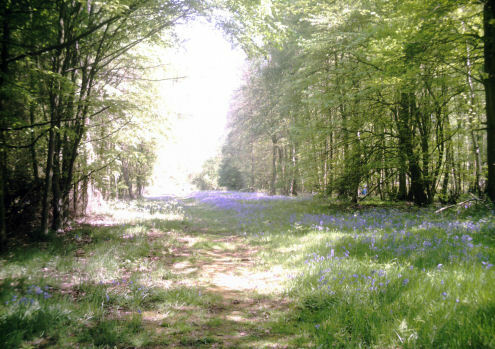 Contact The Forestry Office for help in the management of sensitive woodland and biodiversity.